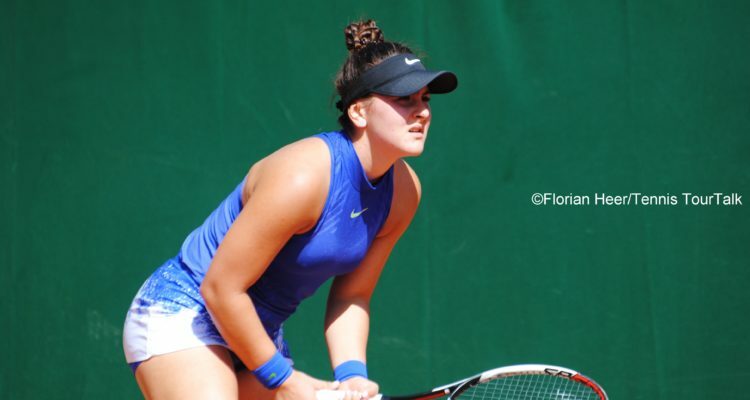 Bianca Andreescu to open the tie for Canada on Saturday followed by Françoise Abanda. The official draw for the Fed Cup by BNP Paribas World Group II first round tie between Canada and the Netherlands was held on Friday to determine the match-ups for this weekend’s action. Canada and the Netherlands will face off on an indoor red clay court at Maaspoort Sports & Events on February 9 and 10, with the winner advancing to the World Group I play-offs and the losing nation having to compete in a World Group II play-off tie to maintain their place in the World Group II for 2020. The Canadian Fed Cup team consisting of Bianca Andreescu (Mississauga, ON), Rebecca Marino (Vancouver, BC), Françoise Abanda (Montreal, QC) and Gabriela Dabrowski (Ottawa, ON) as well as Heidi El Tabakh, newly appointed captain of the Canadian team, will take on the Netherlands in two singles matches on Saturday and two singles matches followed by a doubles match on Sunday. Andreescu and Abanda were selected by El Tabakh to play in singles, while the Dutch team captain Paul Haarhuis nominated Arantxa Rus and Richel Hogenkamp, respectively ranked no. 129 and 150 in the world. In doubles, Andreescu and Dabrowski will play for Canada. Bibiane Schoofs and Demi Schuurs, who is ranked no. 7 in doubles, were selected for the doubles rubber for the Netherlands. Currently ranked no. 70 in the world, Andreescu is competing in her eighth Fed Cup tie and holds an 8-3 record. In Canada’s last Fed Cup tie against the Ukraine, she helped secure the victory by winning the decisive doubles rubber playing with Gabriela Dabrowski. As for Abanda, she is playing in her sixth Fed Cup tie. The world no. 223 holds a record of five wins and five losses. Dabrowski will be suiting up for her 12th Fed Cup tie. The Ottawa native is currently no. 10 in the doubles rankings. The first singles match starts at 1 p.m. local time on Saturday, February 9 and will be followed by the second singles rubber. The last two singles confrontations will get underway at 12 p.m. on Sunday, February 10, and will be followed by the doubles match. All the matches are best of three. The Canadian team is looking to secure a place in the World Group for the first time since 2015. It will be an uphill battle as the team hasn’t won a tie on clay since 2013. The nation’s best results in Fed Cup have been reaching the semifinals in 1988 and the quarter-finals on three occasions, in 1964, 1967 and 1987. The tie will be broadcast live on Sportsnet Now. This entry was posted in Fed Cup and tagged Fed Cup.